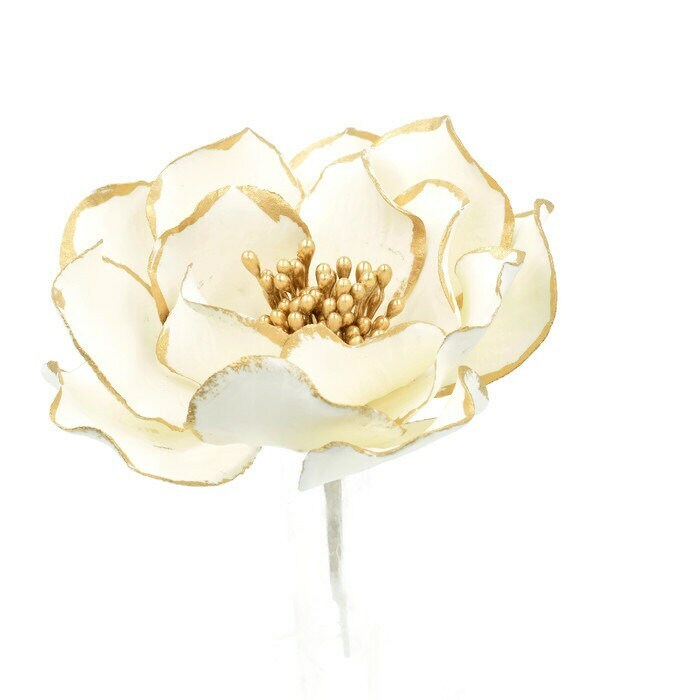 These white and gold open roses are gorgeous, unique additions to your wedding cake decorations. 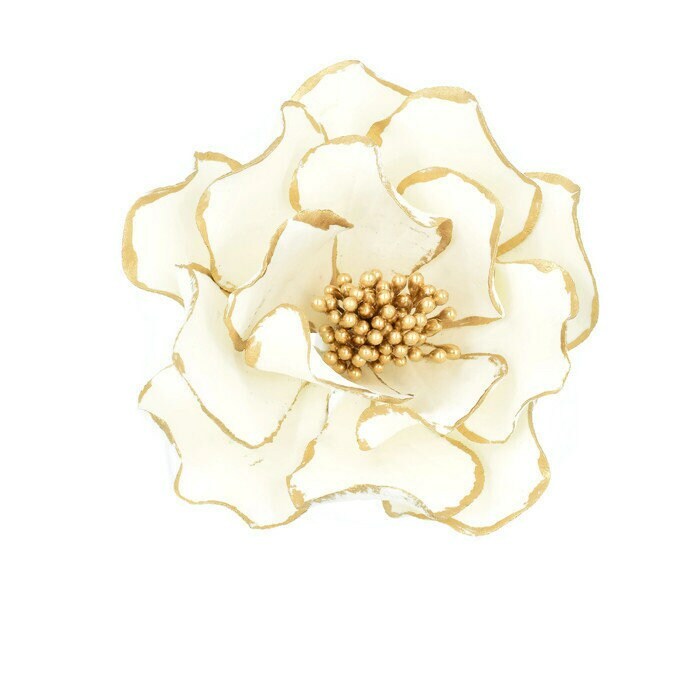 This flower is absolutely my best seller, and with good reason! I make each rose by hand when you order, so they are truly a work of custom art! 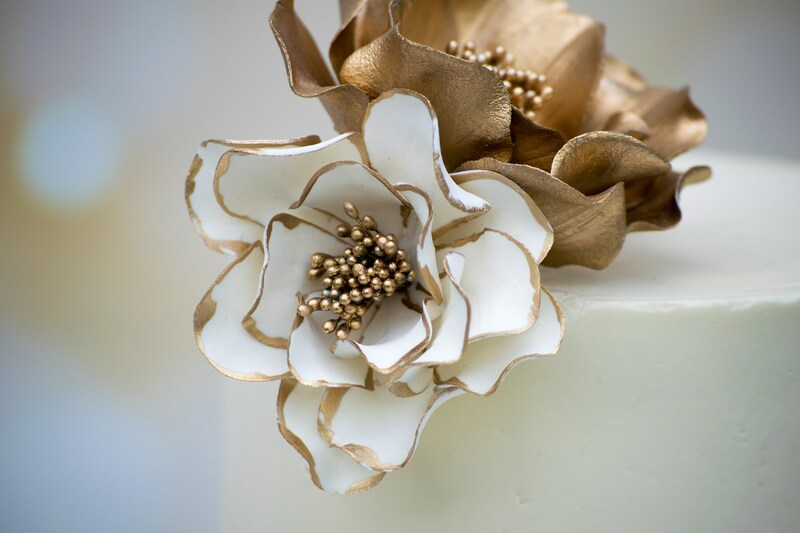 These sugar flowers feature a metallic gold center that is complemented by the delicate gold edging around white petals. Other metallic options include silver and rose gold. Please request a custom order if you need additional color options. Extra large rose - approx. 5"
The cake photo shows a 4" and 6" tiered cake with a medium (3.25") white and rose gold open rose. 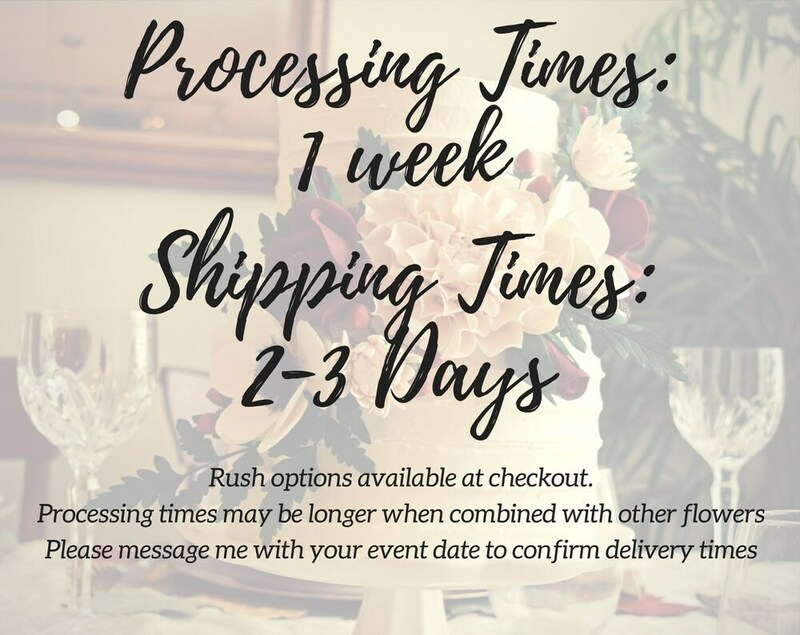 Please see the "shipping" tab for information on how long these flowers will take to create, but I usually need at least 2 weeks to give the flowers time to dry and set before shipping. 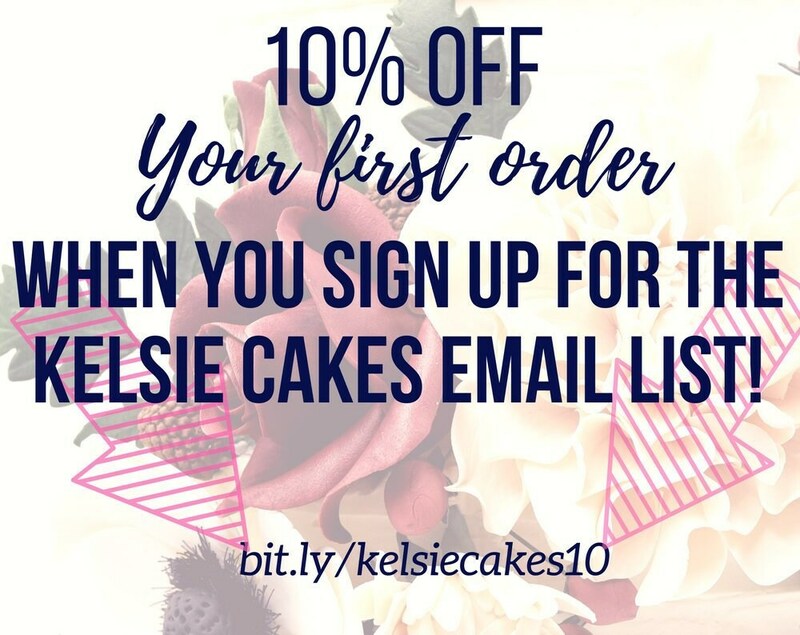 Rush orders may be available, but please contact me with your event date to confirm. 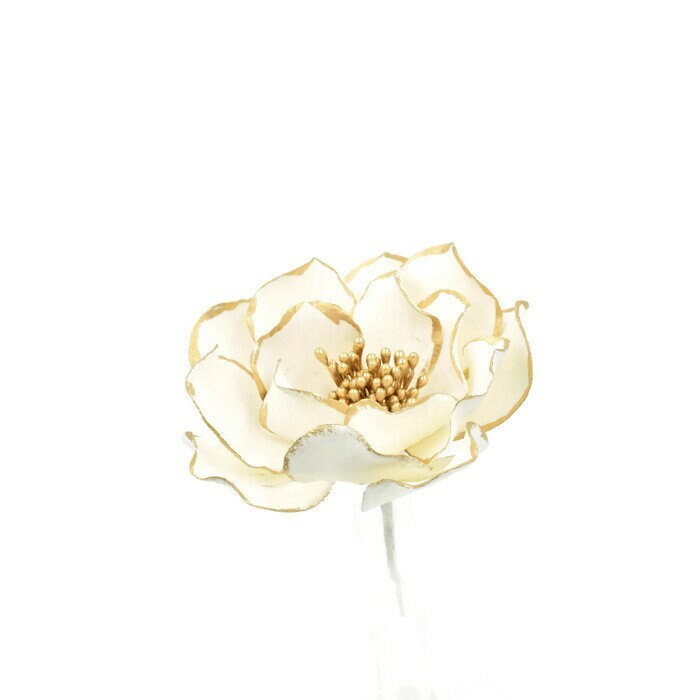 Due to the handmade nature of each flower, they may look slightly different from the picture. I do my best to match colors and styles, but just like nature, there might be some unique differences! Each flower is carefully packaged to ensure your flowers arrive in the same perfect condition they left in! I double-box the flowers and use lots of foam padding to protect from breakage. Breakage is always a risk, however, but each package is insured. If your flowers are damaged beyond repair, please send me a picture so I can start a claim form for you. That way, I’ll be able to send you a new flower to replace the damaged one! Please note that these flowers are not edible. Although these flowers are made with edible materials (gumpaste, sugar, egg whites, and shortening are my main ingredients) they do contain non-edible materials and are not for consumption. Many flowers contain wires, which should not be place directly into cakes. Gumpaste can last almost indefinitely if taken care of properly. Keep your flowers away from light, moisture, and heat to keep them preserved. Humidity and temperature changes from refrigeration may cause flowers to melt.